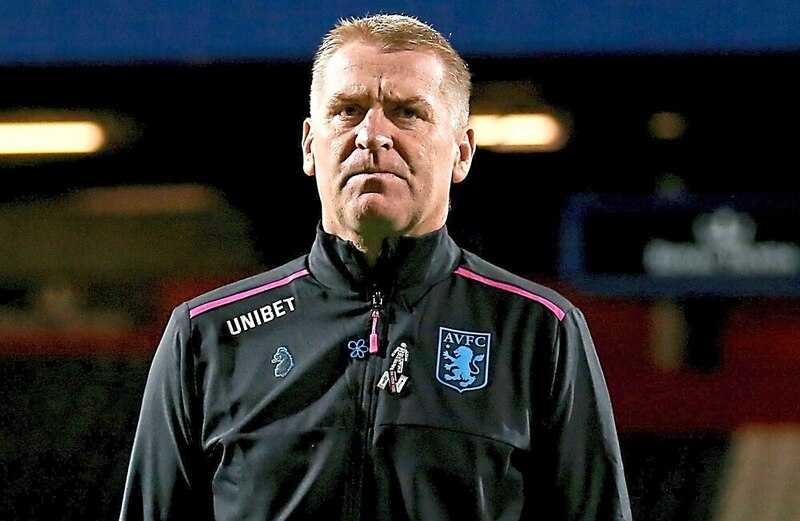 Dean Smith insists short-term results won’t deter from his long-term vision as he aims to enact a cultural shift at Villa. The head coach tonight enters his fourth game in charge aiming to halt a run of back-to-back defeats which has quietened the buzz created by his appointment last month. With Villa sat 16th in the table and now seven points adrift of the top six, Smith is by no means blind to the increasing urgency of putting points on the board. But he believes that can be successfully combined with making changes which will benefit the club in the long-term. To that extent, Smith took heart in last week’s performance at QPR, if not the 1-0 defeat. The boss explained: “You never lose sight of the fact you are trying to win games but unless you have a long-term vision, then you are living day-to-day and game-to-game. “I don’t think you can create a culture, vision or strategy if you are just going week to week. “You can play well like we did against QPR last week and lose and say ‘right, we need to change things’. Smith is keen to establish an identity to Villa’s play and believes that can only be achieved with the co-operation of everyone at the club. Subtle changes so far include players reporting earlier for home fixtures and eating together before partaking in a pre-match briefing. “We have some long-term aims and ambitions at the club which will include our style of play and how we play but also the culture of the place, how we want it to be,” said Smith. “I said to the players on the first day when someone walks into this training ground from the outside world they should hear, see and feel what this club means. Though the season might still be young and Smith’s tenure even younger, tonight feels like a significant one for Villa. That has much to do with a fixture list which, on paper, is about to get far tougher with five of the current top nine to follow after the visit of 19th-placed Bolton. The run includes derby fixtures with Blues and Albion, all the more reason for Villa to be getting back on track. After a whirlwind start which saw his first three games in charge take place in the space of just seven days, Smith has at least had a full week in which to get his ideas across. “We’ve had a good four-day build-up where the players have been really receptive to all the work that we’ve done,” said Smith. Conor Hourihane, Glenn Whelan and Mile Jedinak are all vying to replace Birkir Bjarnason (groin). Albert Adomah returns after missing the QPR defeat with a knee injury.